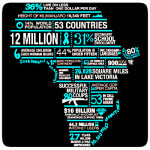 African people and countries are both diverse and unforgettable in feature, culture and landscape. 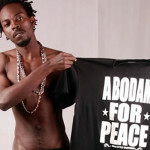 Photographer John Kenny spent a decade travelling around the continent capturing its many faces. Kenny visited 13 countries between 2006 and 2013 taking photos of tribesmen and women in Namibia, Ethiopia, Kenya, Mail, Angola, Niger, Togo and Burkina Faso. 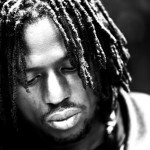 Kenny took his subjects indoors, out of context and photographed them against a stark black background. He shot old, middle-aged, young people and children too. For example, the young Mumuhuila girl from Angola below. 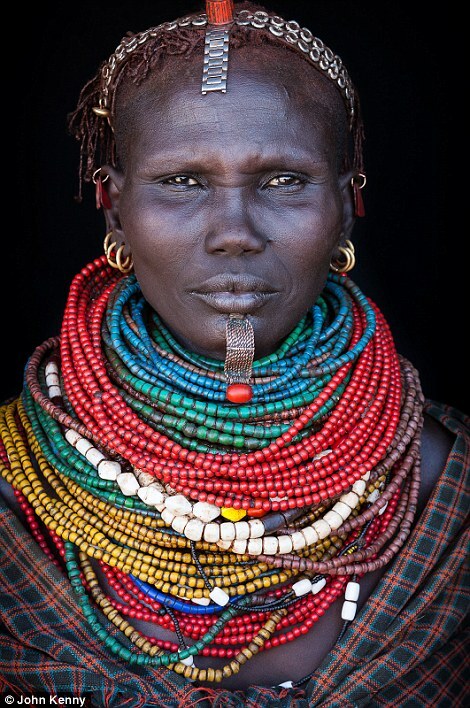 Like all the women in her tribe, she proudly wears colourful beads, shells and animal oils in her hair, woven tightly into its strands. 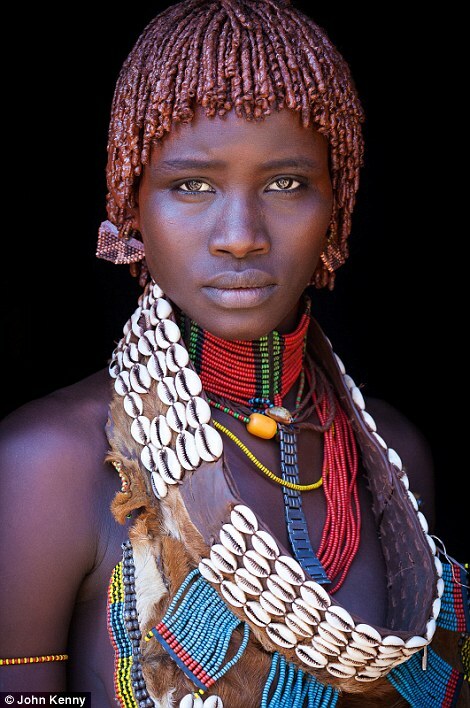 This young Ethiopian Hamar girl above wears brightly coloured glass beads strung toghether with white shell. 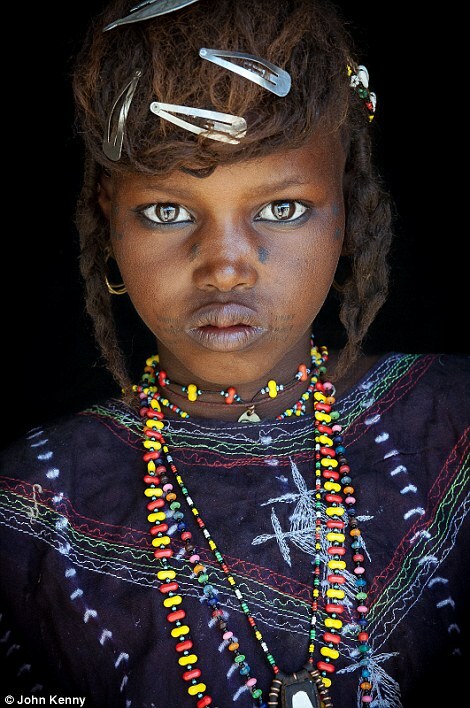 Below is a girl from the Wodaabe tribe in Niger who are traditionally nomadic cattle-herders and traders in the Sahels. 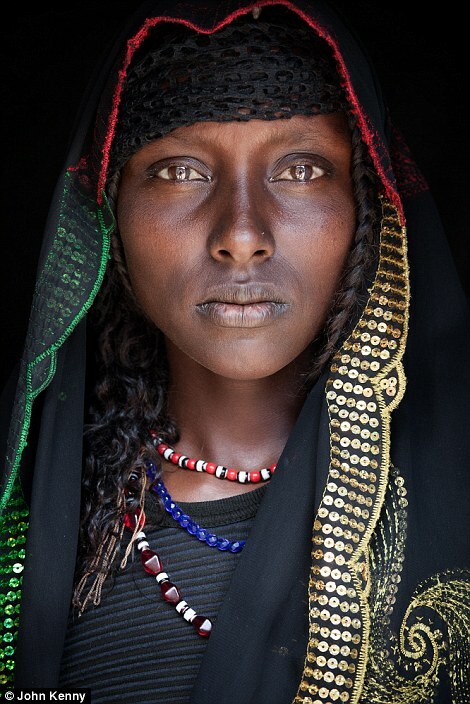 The girl above is from the Oromo tribe in eastern Ethiopia. She is wearing a sequined headscarf. One day she will likely carry an umbrella to shield her from the sun like the older women in her tribe. 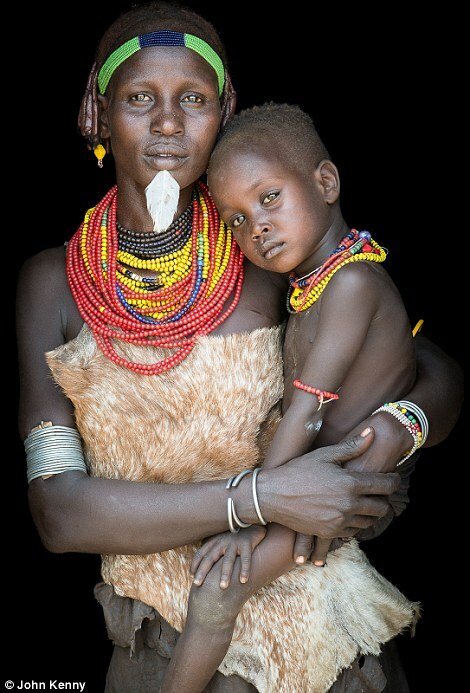 This mother and child are of the Daasanach ethnic group in Ethiopia. 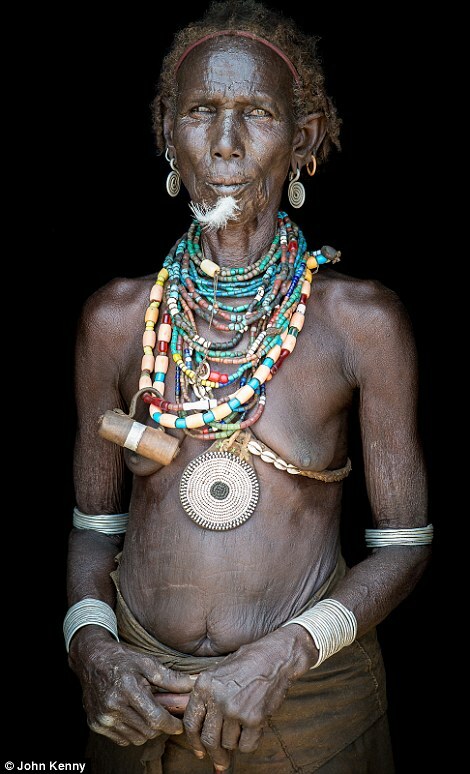 The man is from the nomadic Nyangatom tribe of which there are approximately 30,000 people left.They live in mobile livestock villages and sometimes migrate several times a year. 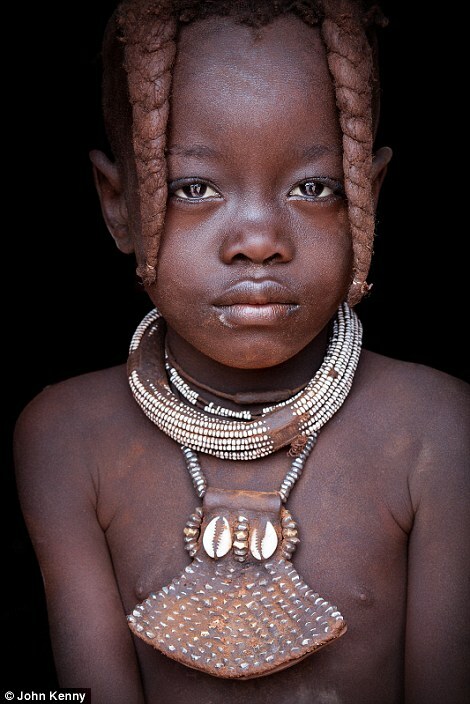 This Himba girl from Namibia has to wear two plaits until she reaches puberty. For more photos and information about John Kenny’s experiences and book, check out his Facebook page: facebook.com/johnkennyphotography.